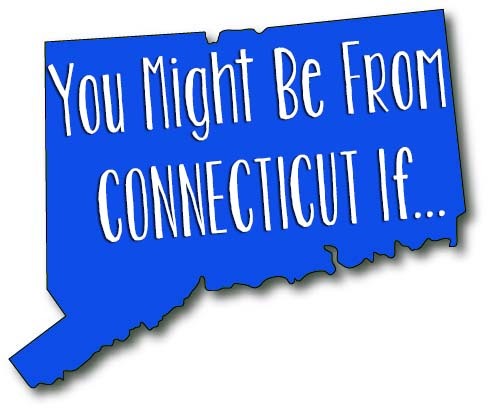 I’ve mentioned plenty of times I’m a New Englander, but if you want to be more specific, I’m a Nutmegger – in other words, Connecticut born-and-raised. To be completely honest, I can’t say I love Connecticut as much as some people, but then again I don’t hate it as much as others. I’m in the middle. While I do plan on eventually leaving this state, there is a nice quality of living in a small state where it doesn’t take too long to get from one side to the other. Plus, living in Connecticut helps me to really appreciate going to new, exciting places that are out-of-state. However, since I do have friends and family living in other states, I have noticed plenty of qualities that make people from Connecticut different from everyone outside of our small state. one // you have ever gone to Mystic Seaport and/or Aquarium for a school field trip. I don’t remember exactly what grade it was, but I do know that at some point, or two, in elementary school I went there for a field trip. It’s basically an elementary school requirement. two // you own/have owned UConn gear even if you don’t watch basketball. Hey, we have to be known for something besides high taxes, right? three // you’ve participated in Dodge That Deer. As a state-wide sport, “Look out for that deer!” is a common phrase while driving in Connecticut. 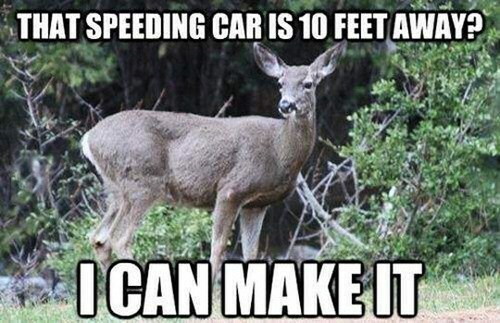 It’s estimated that about 49 deer are killed in Connecticut each day by cars. Just last year one ran out in front of me while I was driving home from school… nearly gave me a heart attack. four // you know Connecticut really isn’t that nice. Everyone outside of Connecticut thinks it’s a nice place to visit with beautiful homes… yeah, if you go to Greenwich where all the rich folks live. How about next time you visit Bridgeport, downtown Hartford, or Waterbury then tell us what you think? five // you always run into someone you know. It’s a small state man. six // you know how to drive in the snow. 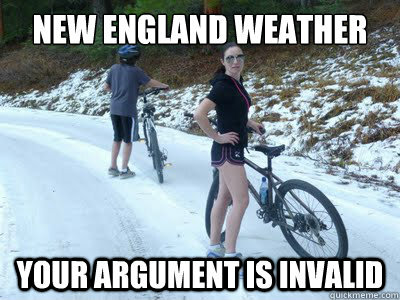 With these New England weathers… it’s a crime to not be able to drive in the snow correctly. If you don’t… get out. You’ll save more lives that way. seven // you call sub-sandwiches “grinders”. it’s not uncommon to hear a Nutmegger say that they love Subway grinders. eight // you’re summer fun consists of Lake Compounce, Quassy or Hammonasset. Heck, why not all three? 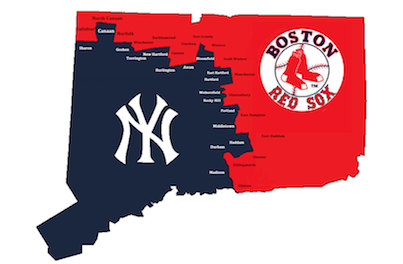 Personally, I have only been to Quassy once, but I went to Lake Compounce eight summers in a row (a few times each) and I’ve gone camping at Hammonasset just about every year since I was 15.
nine // you are either a Yankees or Red Sox fan. And if you’re not, you still prefer one over the other. ten // Giants or Patriots. Again, if you are not a fan of either of these teams, you prefer one over the other. It’s basically a state requirement. eleven // you’re shocked when you find out Dunkin’ Donuts is not nationwide. Well, who can blame us when there’s a Dunkin’ located every 2 miles? It’s basically going to a new country when a Nutmegger leaves the east coast. We suffer Dunkin’ withdrawal. There’s also the fact the majority of us prefer Dunkin’ over Starbucks… just saying. twelve // you know people who work at ESPN. I know at least three people who work there, since I went to school with them. It’s hard not to since the ESPN headquarters is located in Bristol… just down the road from Lake Compounce. thirteen // you’ve survived a “serious” earthquake. Well, by our standards, a serious earthquake is about a 2.9 on the Richter scale… but that’s all it takes to shake up our small state. fourteen // you know school isn’t going to be cancelled unless there’s 1.5 feet of snow coming, minimum. No, seriously. School will be happening unless there’s a foot of snow on the way. And work? Ha! Unless your house is completely buried you can expect to be going into the office. fifteen // you’ve witnessed sun, rain, hail and snow in the same day. I’m not even kidding. sixteen // you can spell Connecticut without sounding it out. Raise your hand if you have to say “Con-nect-i-cut” in order to spell it. I realize some of these qualities might apply to other states, but there are some in here that apply to only Connecticut. If you know which ones, then you’re definitely from Connecticut. So even though I am partial to this small state, I’m still excited for the day that I get to move out of here and experience living in a new place. Your take on weather is hilarious. It is! The East Coast is hilarious! I’m slightly surprised to see no reference to the Hartford Whalers on this list. The Brass Bonanza was god’s gift to hockey. That said, I can say that Dodge That Deer is quite a popular game in the Midwest as well. Connecticut is actually one of the few states I have stayed in. My best friend (who’s originally from NYC) lives there, in Stamford. I actually REALLY liked Stamford. Although, they had an ice storm while we were there in January, and Scott and I got a laugh out of how it put the entire town in a panic (there was like, a centimetre of ice and the whole town shut down). 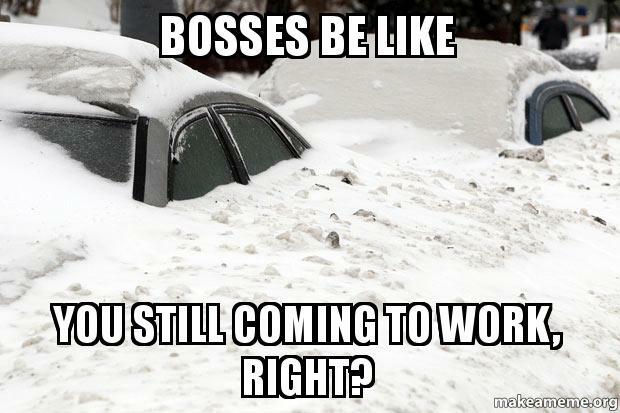 And when I went in 2013, there was like, half a foot of snow and they were calling it a bad winter.